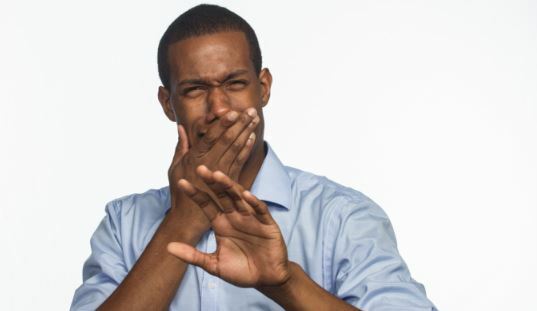 A stinking mouth can be embarrassing and consequently affect one’s confidence. It requires great commitment to combat mouth odour, which is largely caused by increased bacterial activity. Here are a few tips to keep your breath cool and fresh. Vegetables and fruits are great oral cleansers and have antioxidants that aid good oral health. Poor carbohydrates in the body releases foul-smelling ketones, hence, eat a good amount of carbohydrates. Do this by mixing 1/4 cup baking soda with two tablespoons lemon rind and two teaspoons of salt. This will depopulate the bacteria population, hence preventing bad breath. Use a mouthwash regularly. This will kill the bacteria in your mouth and save you the stress of going the traditional way. Coffee is good but certainly not meant to be taken during fast, coffee is an highway street to having a terrible breath during fasting and dieting. Lack of water is one of the main reasons your breath might be terrible, so make sure you constantly sip on water at various intervals.